Burgers, salads, seafood and more will fuel your St. George Street shopping adventures. 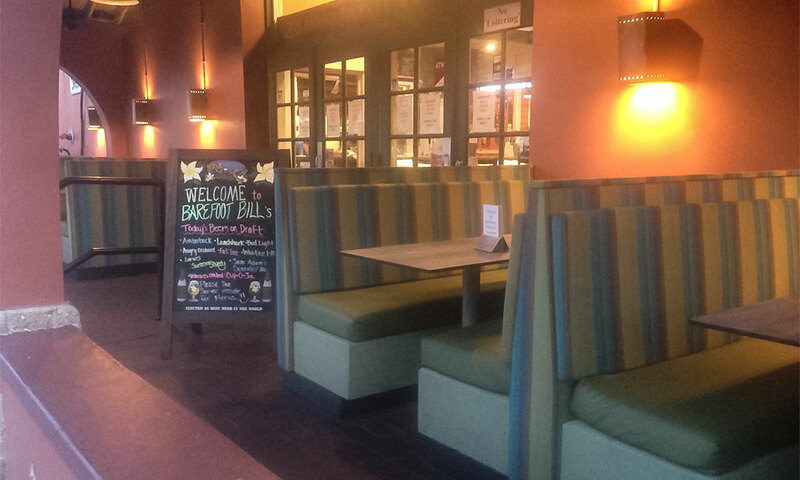 Barefoot Bill's Island Grill is a great little downtown restaurant located in the back of the Heritage Walk Shopping Plaza off St. George Street. The restaurant offers a wide selection of food at reasonable prices, as well as a variety of wine and beer on tap. There is indoor and outdoor seating on the back porch, which leads out to Treasury Street. 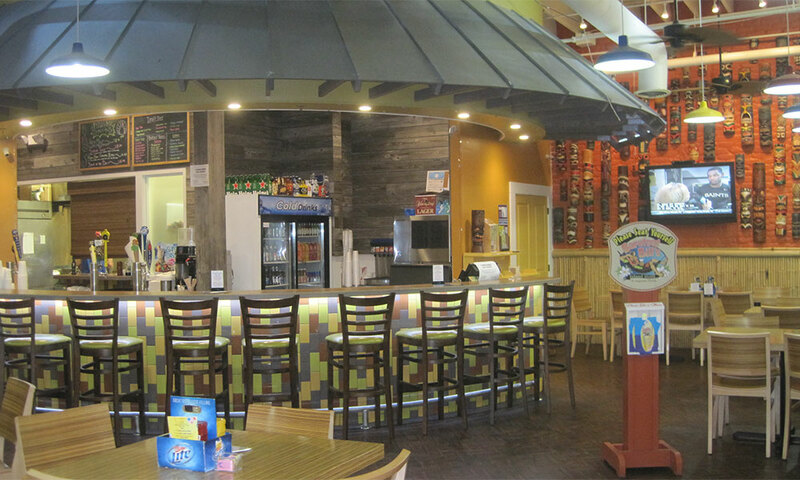 Barefoot Bill's serves burgers, sandwiches, seafood, kids menu and salads. Everything is made fresh. On their menu, visitors can find a selection of "Barefoot Bill's Favorites" which include the Hurricane Burger made with a fried egg, bacon, ham, grilled peppers and onions, and cheese. They also have Fish Tacos, a Mermaid Spicy Chicken Flatbread, Big Kahuna Nachos, Grilled Fish Salad, and Philly Cheesesteak. Happy hour specials are Sunday through Thursday from 4 to 7 p.m., with half-off appetizers and draft and wine specials. The restaurant is fitted with TVs for watching sporting events. Visitors can enjoy appetizers and drinks while watching a game. Barefoot Bill's also has a kid's menu to accommodate younger guests. The burgers are great. Get the pirate burger, drink, fries and fried pickles. It's amazing. The fries were good..and the fried pickles too..we shared a platter.. A hamburger that's hard to beat! Good food and plenty of it. The service was great and the atmosphere was too.